time We have lessons available all through the day, Monday to Saturday. TNT caters for everybody who wants to learn how to play tennis. We first do an assessment to determine playing ability and talent and then suggest a lesson that will be suitable to you. Our little ones start with red balls in a smaller court as the normal court can be intimidating. Here they will learn all about the FUNdamentals through games and drills with the emphasis on FUN. For our older and more advance kids we have different programs ranging from group lessons, squads and individual lessons. Each child is continuously being assessed to know when to move them to the next level. We also track their improvement to determine their tournament readiness. 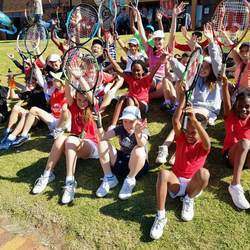 They can also play for Rivonia Tennis Club in the Gauteng Central Junior tennis league. Tennis doesn't only keep your children fit but they also learn valuable life skills on the tennis court. 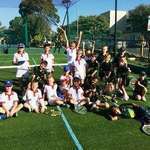 Independence self- reliance, decision making, disappointments, hard work, and balance all form part of the life lessons that Tennis can teach your child. 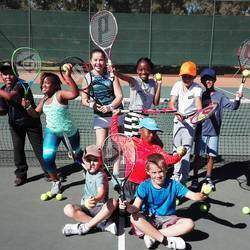 We also offer group lessons, individual lessons and aerobics tennis for our adults that want to be able to play with their children or just want to get fit. We coach at Rivonia primary, Bryanston Parallel Medium, Fourways High, Steyn City School and the Rivonia Sports Club.